The grave with the flag in the left foreground is the sunken stone of Edward Costello who died on July 28, 1914. 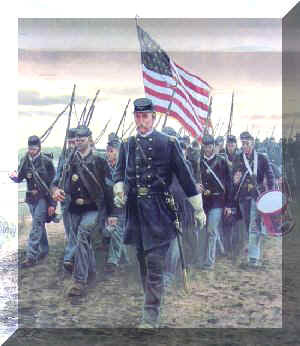 He was with Company H, Pennsylvania 193rd Infantry. 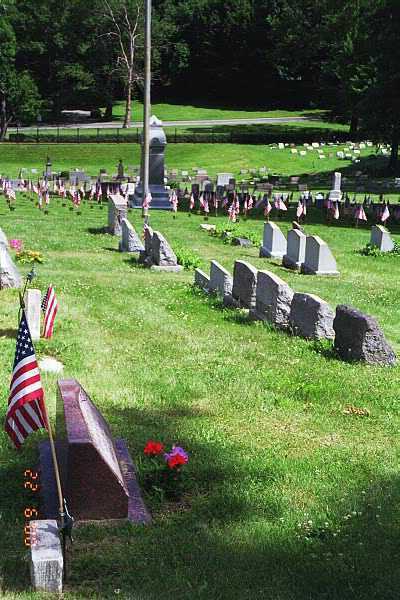 The Union Dale Cemetery GAR Plot is the sea of flags in the background.